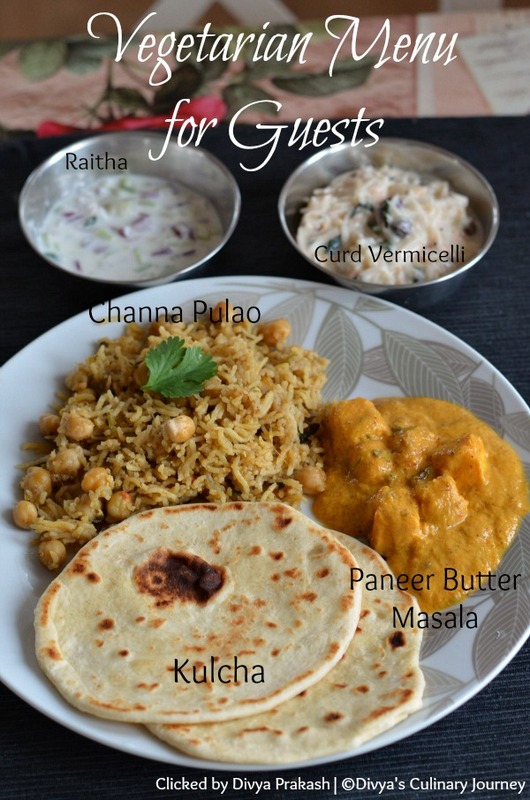 Today I am sharing here, a Vegetarian Menu I cooked for my guests recently. Earlier, I have shared a Simple Vegetarian Lunch Menu and Mini Vegetarian Lunch Thali. This will be useful for those who are looking for ideas to decide menus to cook for their guests or for any special occasions at home. I am planning to post this as a series where I will be posting both vegetarian and non vegetarian menus. This is the first in the vegetarian meal idea series as DCJ Vegetarian Menu # 1. This menu (DCJ Vegetarian Lunch Menu #1) comprises of the following. Channa has to be soaked atleast for 6-8 hours. Remember to soak it accordingly. 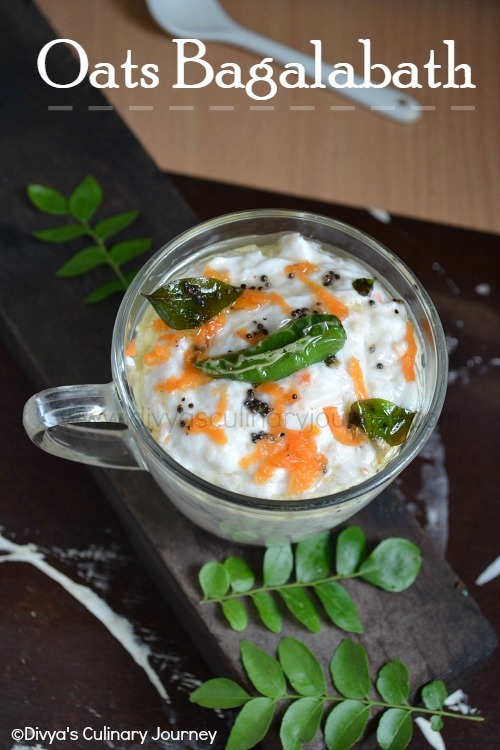 Curd Vermicelli can be made ahead and served chilled. I like to add grapes, pomegranates seeds, grated carrots to it to make it colorful and kids find it attractive too. The dough of kulcha has to be prepared atleast 2 hours ahead. So first prepare the dough keep it aside and start rest of the cooking processes. I had baked Dates cake for dessert. But you can serve any Indian sweet of your choice too. Good selection of items dear, superb, hope guests would have appreciated you to the core.. Am sure Thangam..
Everything looks delicious dear, nice menu..
Lovely menu, looks so delicious and inviting.